After an eight-minute search and rescue mission, the photographers of OpenLensProductions managed to locate and revive their missing comrade: a stolen GoPro. The camera was badly injured (but responsive) after foolishly engaging in a game of 'nomnomnom' with a passing red fox. "My friends were photographing and filming sea lions when I spotted this fox [coming] along. 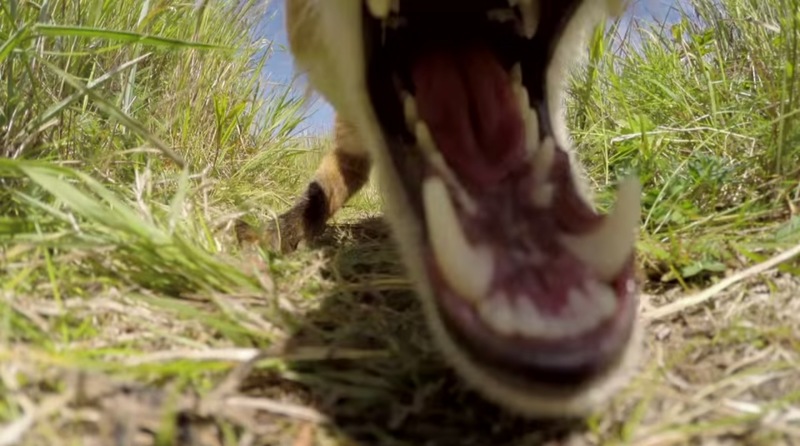 So I stupidly put my GoPro on the ground in hopes of getting a close-up," explains an OpenLens photographer. "I thought I'd never see my camera again." The crew was hoping to catch a glimpse of the walruses living on Alaska's Round Island, an area notorious for foxy photobombers. "I'm glad the fox itself didn't get hurt or swallow anything that could have harmed it."